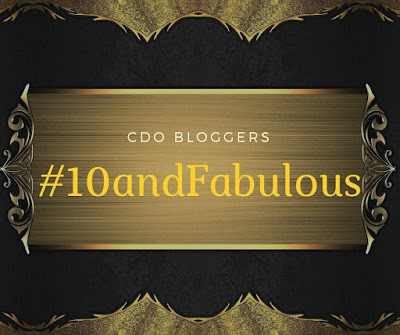 CDO Bloggers 10 and Fabulous! The first time I engaged into blogging was February of 2009 when a church mate and a cousin inspired me to start one (Thanks to Ate Lalaine and Pinay Mommy Online). 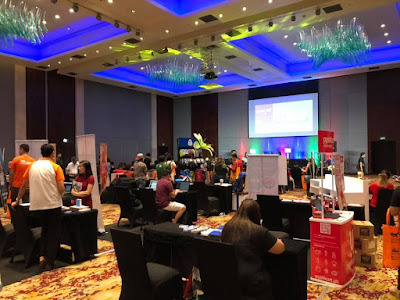 I then attended the Mindanao Bloggers Summit way back October 24, 2009 and happened to meet the pioneering's of CDO Bloggers. I was not that active back then but I already joined the premier blogging organization of Cagayan de Oro after a month. Voila!!! I never thought I was part of this organization for almost a decade now! Simply Amazing! 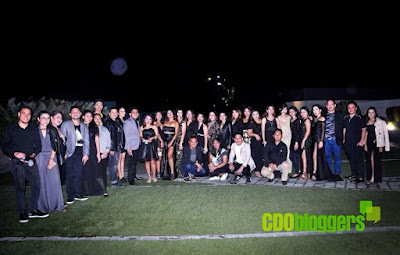 A week ago (November 17, 2018), CDO Bloggers recently concluded our first Bloggers Ball themed: “Rebels in Black & Gold: The CDO Bloggers 10th Anniversary Bloggers Ball”. Though our ball was not the typical kind of ball hold in a very prestigious hotels with a sumptuous fine-dining thingy. Ours is different, it was done out of passion, determination, dedication and hard work from the officers and of course the generosity from our beloved sponsors. Everyone in the organization was so excited for this long awaited event which was finally realized after years of planning and brainstorming. The night was full of fun and glamour when the members and guests were on their best Black and Gold themed dress! So nice to look at that everyone was so prepared for the ball night! I happened to meet our keynote speaker up-close for the first time and I could say that he is a cool politician... No other than Atty. 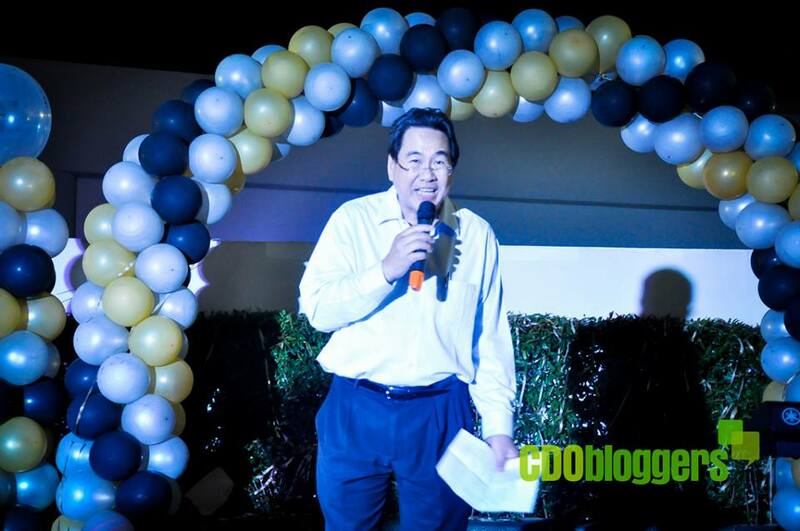 Rufus B. Rodriguez~ the Congressman of the 2nd District of Cagayan de Oro! The dissemination of information was difficult, because you can only reach a few of your constituents that way. Today, blogging and social media are bringing the people and communities together such that timely and relevant information is shared between us, their representatives in the government, and them, our constituents. The bloggers are close to my heart because like me, you work hard on writing about something relevant that you feel should be shared to others for the common good. I know how hard it is to think of a topic, to research it, to weave your own thoughts into the topic, to edit, to re-edit, to re-edit the edited before sending it out into the world. I know what it feels like when someone tells you your writing is not good enough. And I know what it takes to keep on writing despite that. And I share with you that wonderful feeling when your words have caused people to think or to take action or to talk about an issue. 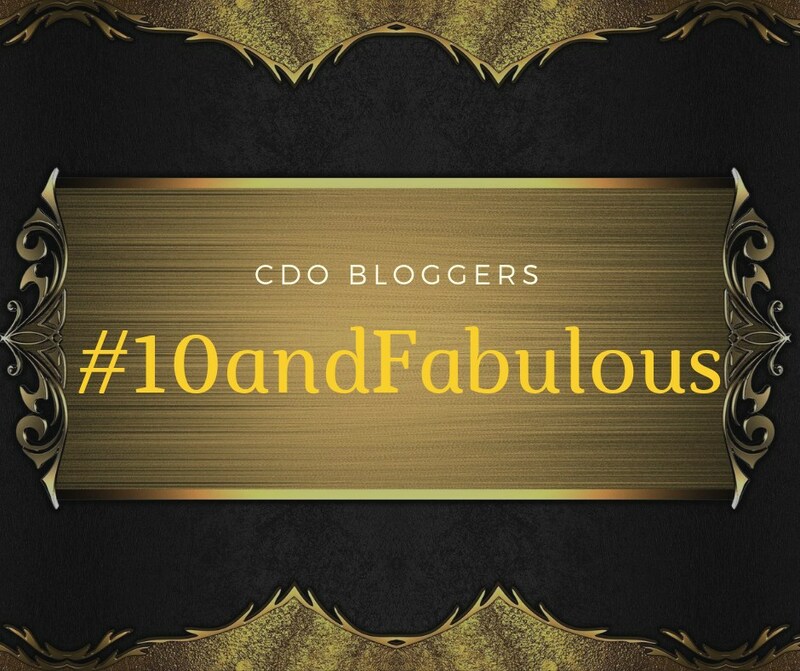 The CDO Bloggers group is now on its 10th year and you have already proven yourself in the digital world. You will become increasingly relevant not just in Cagayan de Oro, but in the entire Philippines in the coming years. And I hope that, kung malooy ang Ginoo ug tabangan ako ninyo, I will become a Congressman again, I will be able to work with you so together we can ensure that bloggers will be given technical assistance through trainings and funding for projects and activities so you can continue to make positive impact in society. Thanks also to our friends KC and Alvin of The Explorer’s Channel, Kim of CDO Dev, Dave of Urban Life-Mindanao Gold Star Daily, Manolo Fortich Bloggers Association (Lee, Heterae, and Keinly), and Iligan Bloggers Society (Xy-Za) for, celebrating your glamorous night with us! 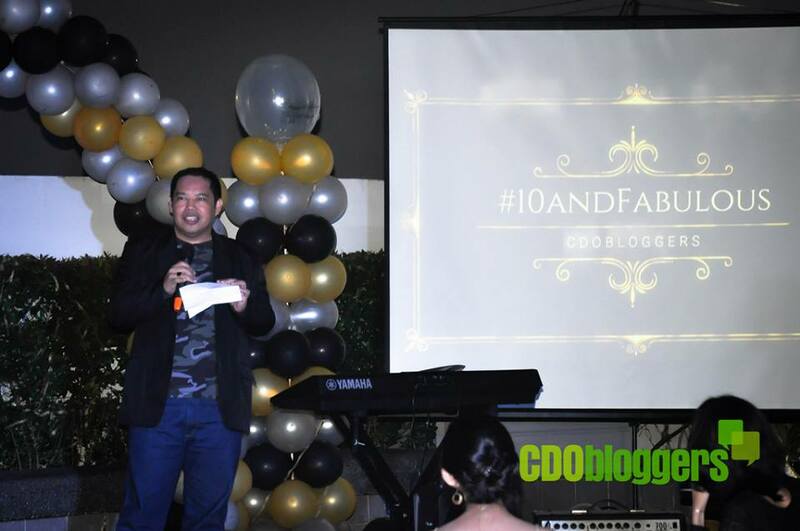 Once again, thank you CDO Bloggers (Officers) for making this event possible, indeed, it was a successful one! #SwitchtoHeySugar - You Won't Regret It! Confident to raise my arms! True enough, we women have incredibly high pain thresholds. Why? I myself have experienced the challenge of giving birth to my two wonderful kids ~ so rewarding! Aside from that, I used to wear my 3 inches stilettos/heels in the office and tearing-off hair is part of our daily grooming routine. While there's not much women can do about pinched feet and blisters - waxing doesn't have to be as painful as you imagine. 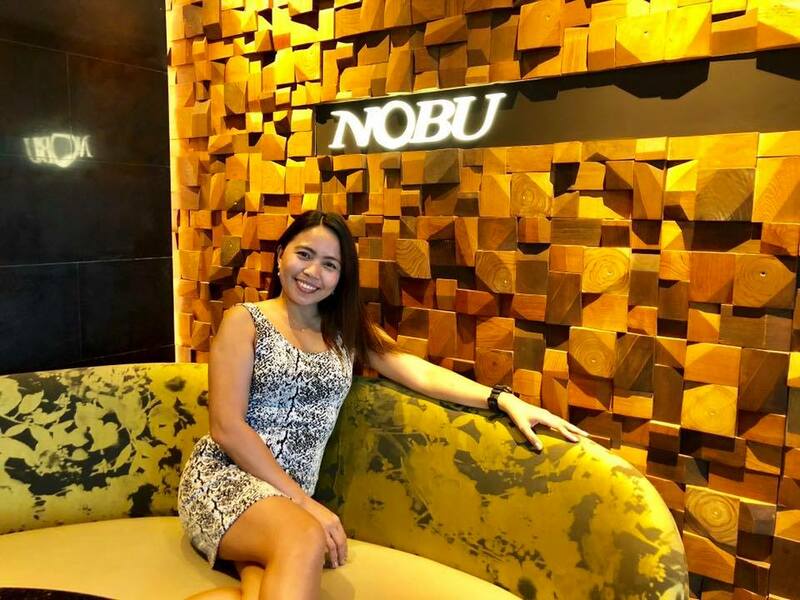 I could still remember the first time to experience my underarm waxing way back years ago and I thought I could not bear the pain but I was wrong. It's a matter of knowing where to go and what waxing method to choose. 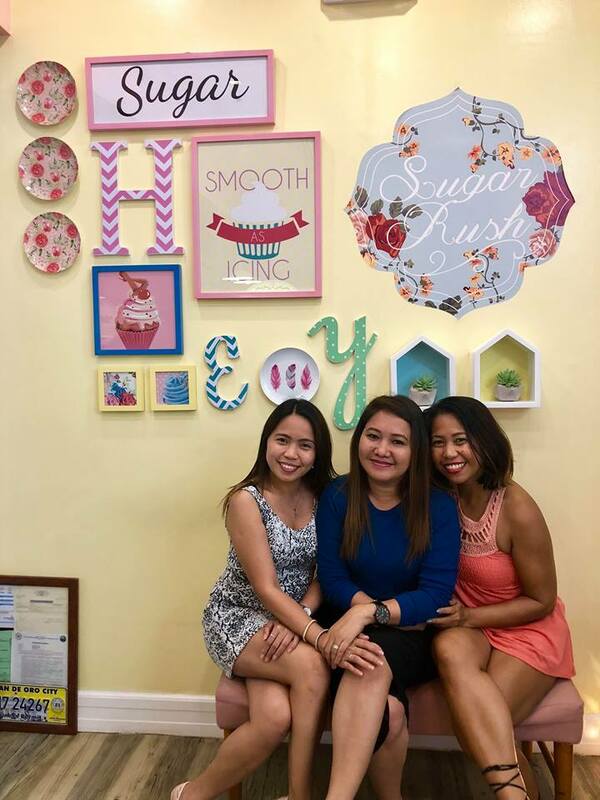 So in the spirit of this year's National Hair Free Day, Hey Sugar is letting you in on a secret - sugar waxing is a nearly pain-free way of dealing with unwanted hair. Take Hey Sugar's sugaring process for example. Known for only using gentle, all-natural ingredients, Hey Sugar takes you through the process of waxing without causing anxiety, regardless if you've been doing this for years or you're new to the whole thing. Their method is swift but efficient. It begins by an expert aesthetician pouring the sugar wax on the area, so its rich, delicious warmth soaks into your skin. This allows the mixture to really seep into your pores and get a good grip on hair follicles, straight from the roots, with the added bonus of moisturizing and exfoliating your skin. They work in small, manageable sections and pres on the skin gently as they lift the cooled wax, efficiently removing even the shortest hairs from its roots. After that, you emerge from the salon smooth, exfoliated, moisturized, and hair-free. The experience is a stark difference from DIY creams and at-home waxing kits - which are not only messy, but are as painful as you probably imagine waxing to be. Leading up to National Hair Free Day, Hey Sugar will also be offering an incredible pampering treat. 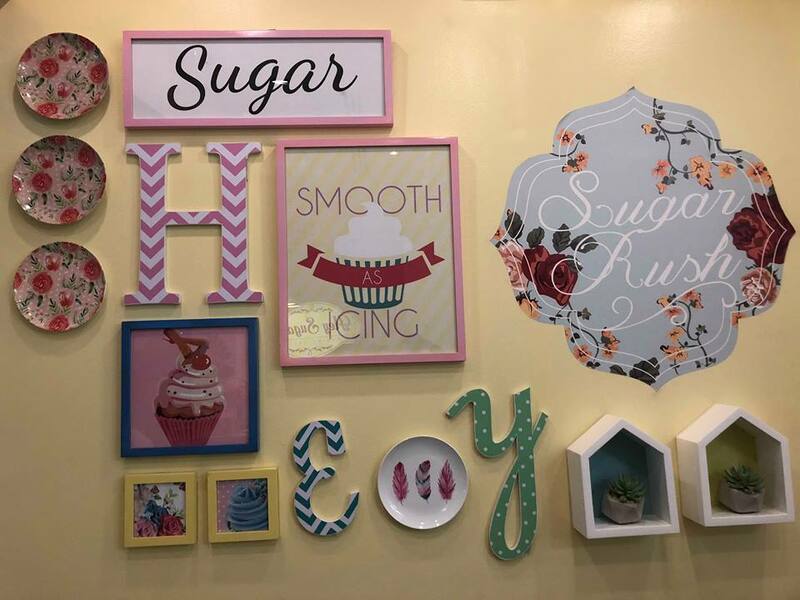 Visit your nearest Hey Sugar branch on November 27 from 11AM to 3PM and you can indulge in their free eyebrow threading and underarm waxing services. With that said, do you really have to wonder if you should #SwitchtoHeySugar? Happy TERs after availing our fave services! In some industries, piping is used for more than the transport of liquids. In particular, the mining and agricultural industries utilize piping systems to move product from point A to point B. In mining, coal, rock, gemstones and other minerals are often moved through steel or iron pipes. In the agricultural industry, processed corn and other grains may be run through a piping system into a silo. The movement of solids presents a unique problem for the piping system. Millions of bits of jagged rock can take its toll on a metal pipe, regardless of the metal used. Continuous abrasion by the solid media can quickly erode metal pipe. This abrasion will lead to a shorter useful life of the pipes and require extended maintenance or replacement. The maintenance also necessarily leads to a shutdown of the transport system, leading to lower production. Since most industrial piping systems are expensive and require numerous man hours to construct, a long term solution is required. Fortunately, some manufacturers carry a line of rubber lined pipes for abrasive materials. Rubber linings can be installed during the manufacturing process or in some cases retrofitted to an existing system. The preferred method of lining is through pressurized vulcanization of the rubber material. It is normally done by heating the rubber through steam pressure. This method has several advantages. First, the pressurized rubber provides a stronger bond to the metal. It also provides a tighter seal for the pipe. Secondly, vulcanization strengthens the rubber at the molecular level. Through vulcanization with sulfur atoms, the process cross-links rubber molecules in a three dimensional manner. This adds to the strength and elasticity of the rubber lining material. Utilizing rubber lined pipes can also be an efficient solution for liquids. A rubber lining can act as an anti-corrosive safeguard for metal pipes. The rubber lining keeps liquids from contacting the metal of the pipe. In addition, the sealing property of the rubber prevents oxidation of the metal inner walls of the piping. Depending on the liquid to be processed through the piping, it is always best to consult with the lining fabricator to determine the best choice of sealant to be used. If you are in the market for dishwashers Massachusetts area and have to consider your budget, as well as your individual needs and requirements for the purchase, a good and reliable outlet store is the perfect answer for shopping smart and purchasing a new appliance that is discounted because it has minor cosmetic imperfections that allow selling them at a cheaper price. They operate perfectly, are not used, and are thoroughly inspected and tested by experienced and certified in-house technicians before they are placed on the sales floor for the customers to choose from. You can rest easy and trust their selections because every appliance is backed up by and covered with a full factory warranty on labor and parts up to one year from the date of purchase, which is the same as a new appliance that is still in the box. Having been locally owned and family operated since 1936, New England Appliance and More in Braintree, MA delivers to and services the Greater Boston area and the South Shore of Massachusetts. They can save you anywhere from 20 to 50 percent off the regular purchase price on new products and on "scratch and dent" appliances that they purchase directly from manufacturer-certified “scratch and dent” distribution centers. Their customers include homeowners, real estate developers, landlords, property managers, local and state agencies, and many small businesses. The friendly and knowledgeable sales associates will work with you to help you choose exactly what you need and are looking for in the way of features. They are determined to get you the best possible discounts and give you exceptional customer service. Another of their goals is to buy appliances at the lowest possible cost and then pass the savings along to you. It's so important to be thoughtful about the practices you develop over time. When you maintain certain practices, they'll become habits. You don't want to cultivate poor habits. This is why it's important to start a great skin care routine early. The earlier you start, the better off you'll be. Whether your skin is currently flawless or flailing, there are a few key steps you can cultivate over time. Consider these four. 1. Find a good dermatologist. It's best to find a great skin care professional that can help with your skin care issues. Whether you have rosacea or eczema, it's always good to have professionals in advanced dermatology colorado to help you. When you have the specialized attention and care from a skin care professional, you'll be able to get the right products to help you maintain a daily regimen as well. Your skin is the largest organ of your body. 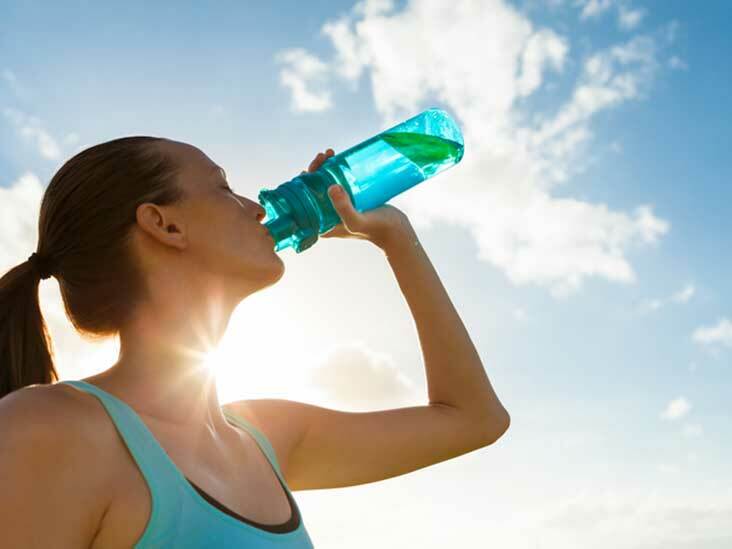 One of the best ways to treat it well involves drinking lots of water on a regular basis. Most people like to stick to the mindset of drinking eight glasses of water a day. Depending on your BMI, you might need more. However, always make sure your body is hydrated. This will make a difference in the plumpness and elasticity of your skin. When you drink a lot of water, it'll also help you as you work to get rid of toxins, impurities and build-up that's within your pores. Unfortunately, many people don't realize the importance of wearing SPF lotion on a daily basis. Even on the cloudiest day, the sun can still do its work. Find a great SPF product that works well with your skin. Use it religiously. When you neglect to wear sunblock, you'll increase your chances of getting skin cancer, sun spots and other damaging skin diseases. 4. Don't touch your face. If you have acne, ingrown hairs or dry skin, it can be easy to push out the pus, tug at the hairs and scratch the skin. However, refrain from touching your face. When you touch your face consistently, this transfers bacteria to the infected areas. This can make things even worse. Avoid pulling and picking at your skin. Your skin will thrive as a result. You can make the most of your property by turning your backyard into a gathering place for family or for guests. 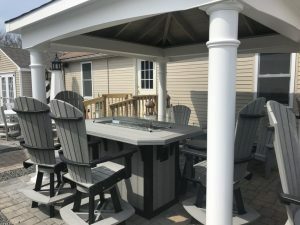 You can begin by shopping for the right outdoor patio furniture Massachusetts to set the scene. You should choose furnishings that will speak to your sense of style and compliment the patio, but also make sure that it's comfortable. By setting up comfortable seating that doesn't feel too cramped, you'll be creating a welcoming atmosphere. You should make sure there's enough table space as well. Again, you don't want to overcrowd the area with furniture, but you should add enough to hold food, decor, and other items that you might want to add to the setting. After all, you may want to host graduation parties, birthday parties, or family reunions. Even a Sunday cookout will be made easier, when there's a convenient place to serve food and eat meals. You may want to change things up each season or decorate for each holiday. A good idea is to dress up your patio furniture with wreaths, garland, and other decorations. You can also set up some plants around the patio to bring more of nature's beauty to the scene. Hanging plants are especially useful in this regard, because they won't take up the floor space. Candles are also a great way to set a mood on your patio and scented candles can be used to enhance a seasonal or holiday theme. Additionally, some scented candles also act as insect repellents. While these candles tend to cost a little more, they can be a worthwhile investment, especially if you anticipate entertaining guests in the evening hours. Mosquitoes can be problematic, but making use of repellents can help you keep your guests safe from their bites. Some homeowners neglect their patios and rarely use them for entertaining. This is unfortunate, because it presents a great atmosphere for socializing. 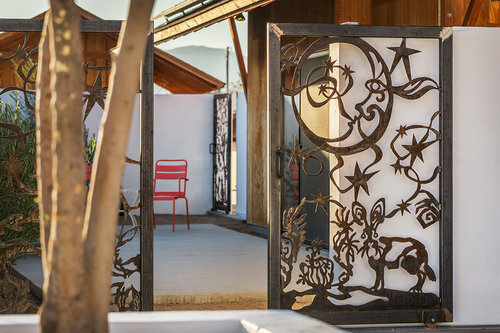 It also presents an opportunity for you to express your creativity by letting you decorate a new space. From the patio furniture you buy to the decor you add, your patio can be an extension of your unique personality. Globe Telecom welcomes the new telco challenger which is seen to help foster a healthy competitive environment and ultimately benefit consumers. The new player has the potential of opening up new sources of revenue streams for telcos while providing consumers with more innovative products and services, the company said. “We are glad for the smooth selection process undertaken by DICT and NTC. As previously and continuously stated, we hope the government will equally support the existing telcos like Globe, which continue to provide services to millions of Filipinos, and in the case of Globe, over 67 million total subscribers,” said Globe General Counsel Froilan Castelo. To help foster competition, Globe took a step forward to fulfill its plans to divest its tower assets. It has started the process of incorporating a separate tower holding company. This initiative will allow the third player to rapidly roll out its network and launch commercial operations. It will also give smaller players the opportunity to scale up their business without the burden of high capital expenditures. 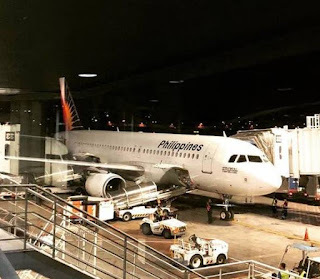 My first plane ride experience many many years ago was with Philippine Airlines. Indeed, I was being offered with great service and a memorable experience! Weeks ago was another exciting moment with me because I was given the chance to fly to Manila to attend the Blogapalooza 2018 with my co-bloggers from Cagayan de Oro courtesy of PAL. 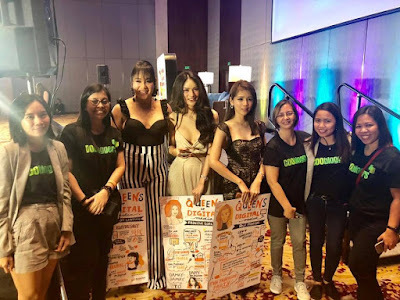 Four days before the said event, I got my confirmed tickets with me and was glad enough that PAL honored my request that I will be departing from Davao instead of CDO. On the day of my flight scheduled (7PM), I decided to check-in through their online services but unfortunately, it was an unsuccessful one! 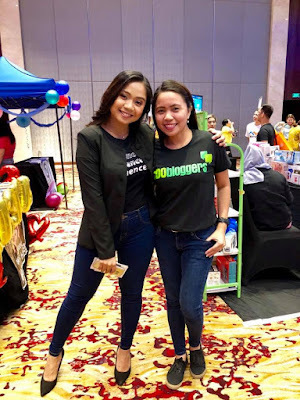 So, I reported immediately to Ms Ace Gapuz (Blogapalooza CEO) regarding the problem I have encountered. So true, Ms Ace explained to me that my confirmed flight schedule was already fully-booked! "What? I thought I already had my confirmed ticket with me." 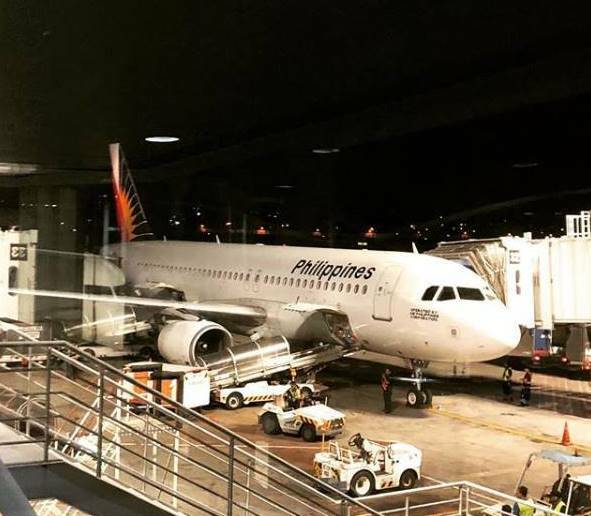 Ms Ace told me that since it was a non-revenue ticket, PAL would accommodate first the paying passengers. Uh-oh! So, got no choice but to be a "chance passenger"! After my seminar, I hurriedly went to the airport hoping and praying that I will be accommodated that night. While on the taxi, I was communing with God that I will be free from the traffic jam of Davao and be there on time with a positive heart that I can take my flight scheduled. To make the story short, God answered my prayer that PAL did their best and that I will be catered once I arrived in the airport. Wow! A PAL admin personnel welcomed me when I arrived at the check-in area and guess what? I will be flying with an early flight scheduled (since there was a delayed aircraft turn-around)! I did not expect it to happen, because I was preparing that I will be a chance passenger until dawn. 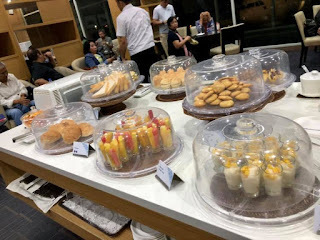 Another great thing happened to me that night, I was being escorted with their personnel going to Mabuhay Lounge for me to rest and have something to eat while waiting for boarding. Wow!!! 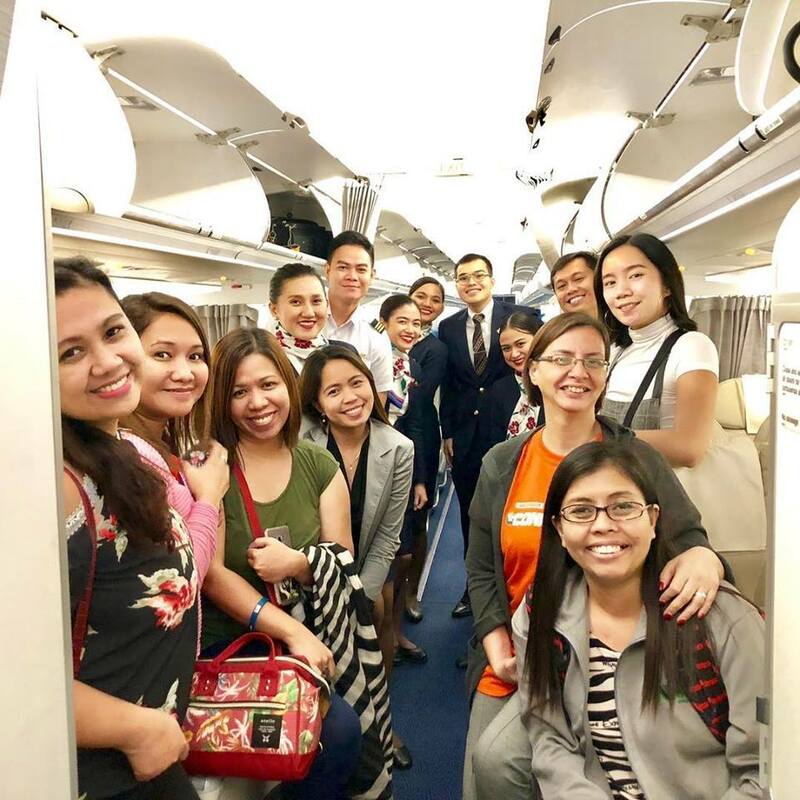 Arrived Manila at around 9PM having a smooth and a safe flight! My returned flight was a hassle-free one! Once again, PAL you never failed to amaze me! Thank you, thank you! It's so nice to be back here once again!!! Two years ago, I visited City of Dreams Manila for the first time when I was invited for an event and was billeted for a night in here. 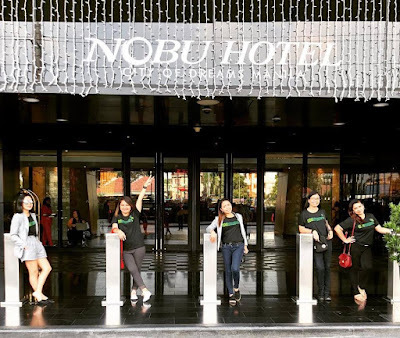 But now, it's not just an overnight stay but a weekend stay-cation with my co-bloggers from Cagayan de Oro! our home for 2 nights! It's always been an honor to be accommodated in a luxurious resort in our country! It's not just the amenities that made them best but as well as their services being offered. 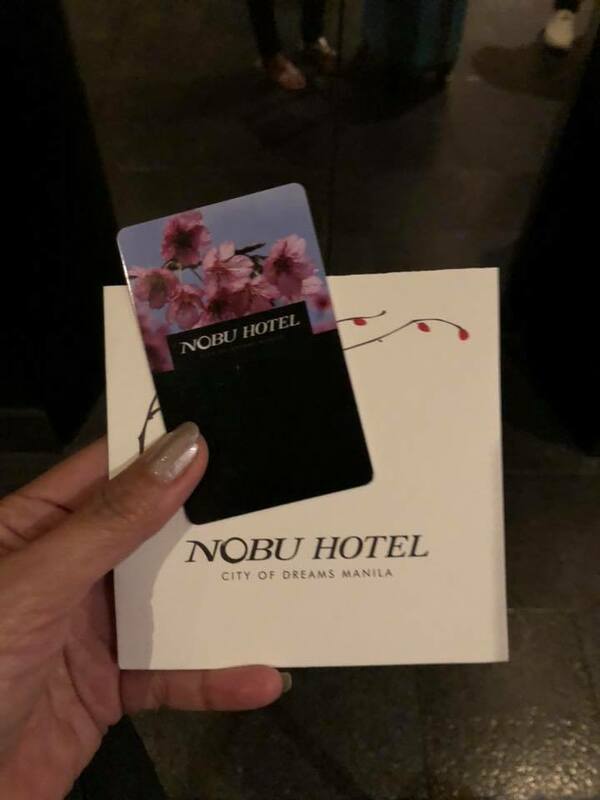 Thank you City of Dreams Manila for allowing me to experience your extra-ordinary 5-Star hotel! My stay here would not be complete without swimming!!! 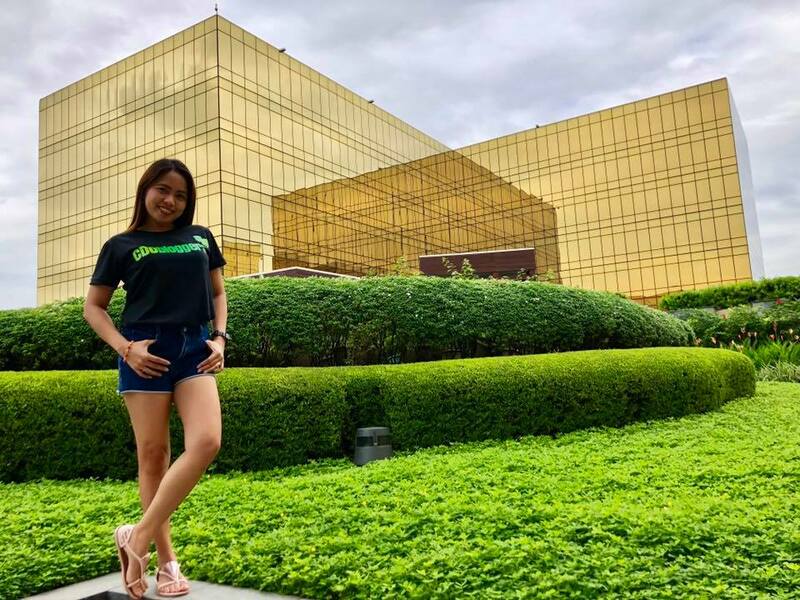 You are the simply the BEST among the REST...City of Dreams Manila! Can't wait to experience another nights in here next year! 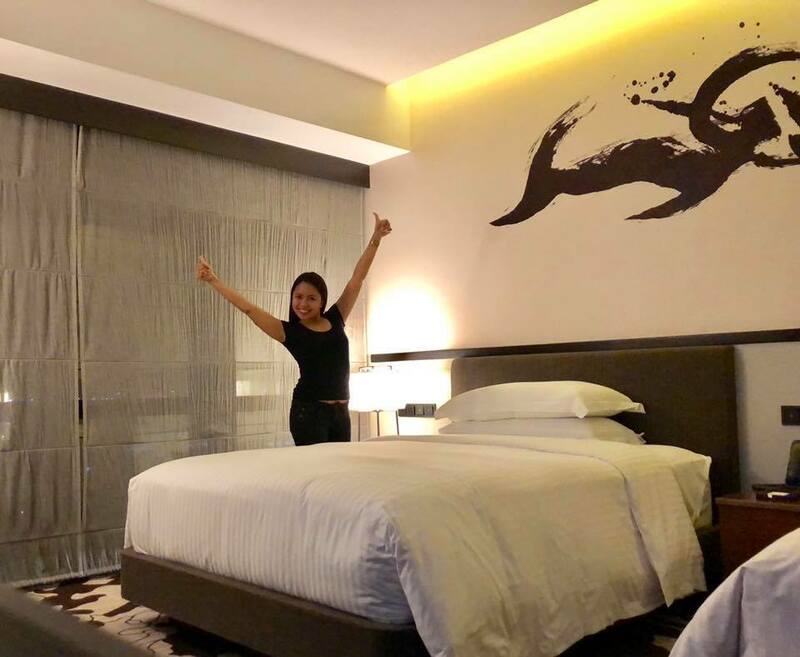 Indeed, it's a dream come true staying here for FREE! 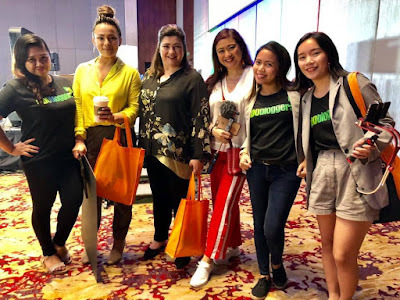 For the first time, I was able to join Blogapalooza ConnecteD last October 27, 2018 held at City of Dreams , Manila! Thanks Ms Ace Gapuz for letting me experience this memorable event! I never regretted joining the said event 'coz I've learned a lot out from the topics during the forums. Since I don't belong already to the millennial era, I guess I need to know more of what is in-store for me in the social media world nowadays. Aside from that, I need to know more 'coz I am rasing a Gen-Z children. It helped me a lot learning some tricks from those top Youtubers in our country. At least I can now impart some of those tricks to my kiddos who's planning to create their own YT channels. Oh I've got Social Media Influencers in the making! Topics like : Wanna know on how to increase your Instagram followers? 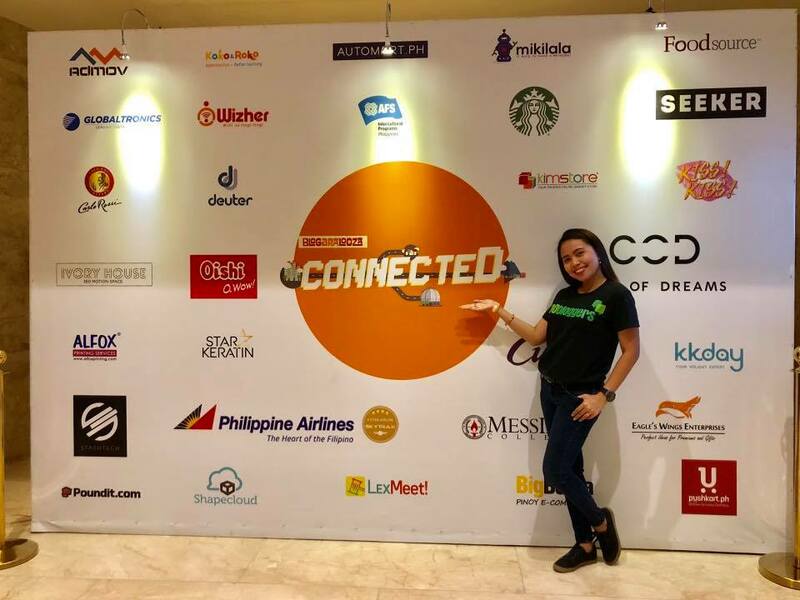 The transitioning of the traditional media to digital media, engaging Gen X and Xennials in social media and of course talking about data, analytics and marketing influencer are of of the reasons why I joined the event. But oopppss, got to meet some blogger friends from other places and some amazing companies made it worth remembering too! Thank you Blogapalooza for inviting me and hope to you in the next #ElevateInfluence a year after! Enjoying the event much! 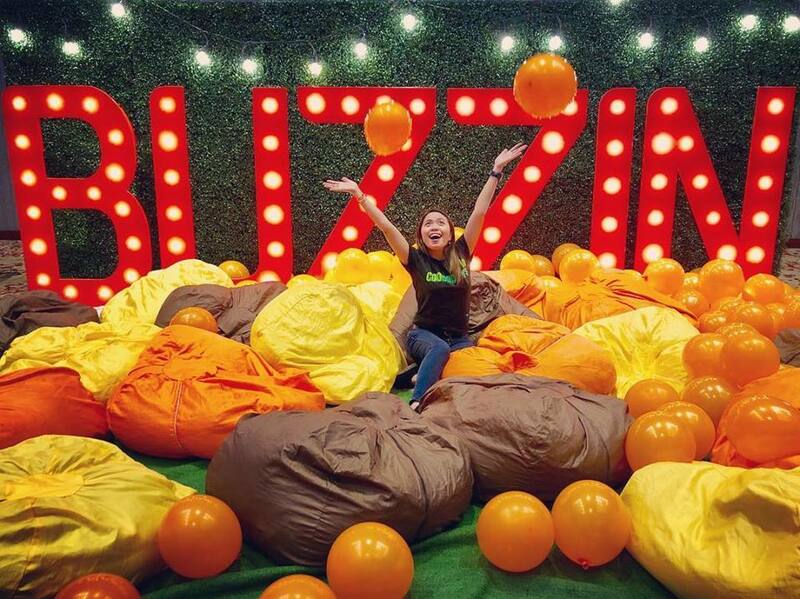 Let's Buzz In! 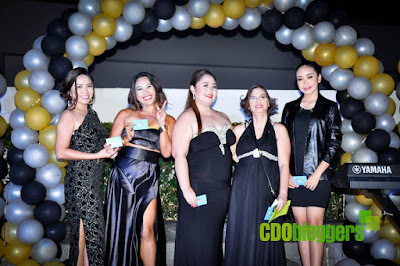 Kudos to you Ms Ace Gapuz and to your whole team as well for a successful memorable event! Globe Business, the corporate information and communications technology (ICT) arm of Globe Telecom, once again gathered the country's top business and enterprise leaders for a day of insightful learning, discussion, and sharing of best practices on how leadership innovation and digital transformation can help sustain a company's competitiveness and relevance in today’s ever-changing landscape. This year’s Leadership Innovation Forum (Lead-In) with the theme “Culture Shock: Sparking a Revolution”, is Globe Business’ way of challenging its partners and clients by harnessing culture to steer its workforce to go beyond business goals. It aspired to instill the importance of understanding, evolving, and sustaining a company culture rooted on agility and innovation. One example is the cultural transformation that Globe implemented to get to where it is now. “We needed to be capable of change, and to organize work in such a way that we are quick to deploy, and are flexible. 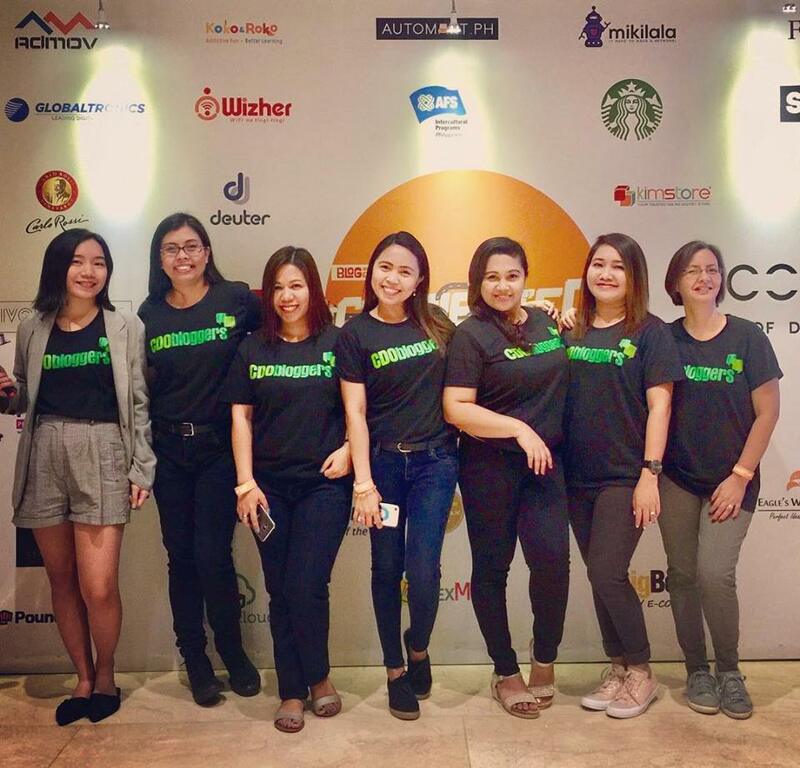 So at Globe, spinning the Circle of Happiness means having a culture where employee-well being and growth are nurtured to deliver wonderful customer experiences that help steer the company’s future success,” said Globe Chief Commercial Officer Albert de Larrazabal. On the other hand, Ron Kaufman, Lead-In keynote speaker, talked about “Capturing the Power of a Superior Service Culture: Creating a Sustainable Competitive Advantage” where he shared insights from individuals and teams at leading organizations around the world. Kaufman is one of the world's leading educators and motivators for uplifting customer service and building service culture. His experience and passionate commitment to results have been distilled into proven methods to help clients achieve service excellence and establish strong service culture. 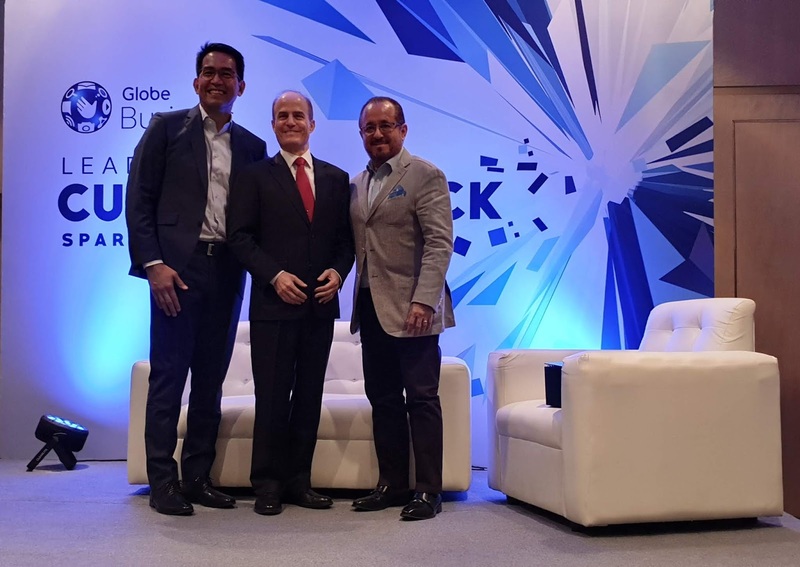 Ken Lingan, Country Head of Google Philippines, and Rex Mendoza, President and CEO of Rampver Financials, also shared experiences and best practices on how culture revolutionized their own companies-- focusing on innovation and brand building, respectively. The event urged enterprises to seize the opportunity to create bigger impact, and contribute to the development of the country by constantly evolving in their respective industries. It also pushed companies to be responsive and adaptive in the challenging, fast, and unpredictable circumstances that they face today. Your home should be a haven. It should be a place where you can let go of all of your stress at the end of the day and spend time with your loved ones. Sitting in a house that is too hot can turn your haven into the last-place you want to be. Here are a few simple steps you can take to keep your house cool. One of the most simple things that you can do to make your home a more comfortable temperature is to allow cool air into the home at night and to keep hot air out of the house during the day. One of the ways that you can do this is by opening windows and doors as the temperature starts to change. As soon as the sun goes down, open all the windows in your home. You can use a fan to help move the air. Then, in the morning, close the windows to block unwanted heat. Something else that will help with the process mentioned above is to have appropriate blinds or curtains. Heavy curtains will block the heat during the day. White or light colored blinds will block heat and will not attract the sun. Many have found that blackout curtains are helpful in areas that are especially sunny. You likely have an air conditioning unit in your home. Make sure that it is in good condition. Take time to read the owner's manual and to learn about how to care for your unit. If necessary, hire an hvac service yorktown va to fix problems with it. If you maintain your air conditioner and keep the filters clean, you will extend the life of the unit. For many families, cooling the entire home with the air conditioner is not necessary. Closing vents in rooms that are not used is a great way to conserve energy. Smart devices are also helpful because they will allow you to control the temperature of your home when you are away from it. This will lead to a lot of savings and ensure that your home is cool when you arrive after a long day at work. Are you the type of person that loves to be outdoors? Is your backyard a meeting place for friends and family? If you answered yes to these questions, you probably do a lot of entertaining or just relaxing in your extended living space. There are a few ways you can spend even more time in your favorite place. One of the easiest ways to enhance your backyard is to add features that create a warm and welcoming feel. There are a number of ways to do this such as adding plants, arbors, benches, and perhaps even a small pond. A pond with plants and fish provides a focal point for the backyard as well as being quite relaxing. If it is installed correctly, it can pretty much take care of itself. Another addition that will add to the beauty and relaxing feel of your backyard is a fire. Bonfires are very popular when it comes to getting together with friends or family. A fire pit can be a good way to keep the fire contained and provide heat on chilly evenings. You may even find yourself entertaining the kids with a few ghost stories while sitting around the fire. An example of a company that offers a metal sphere fire pit is Studio Vlock. Create a space for the kids. A play area with their toys or even a free standing structure, such as a play house, will keep them entertained for hours. A tree house is another good idea. This allows your children to have their own space as well as a place to share with visiting children. If you don't have a lot of room for a playhouse, a tent will offer another option. There are a number of ways to use your backyard as extra living space by simply adding outdoor furniture. Of course, many people choose this area for hot tubs or swimming pools. It is a matter or preference and personal style, but with just a few additions, this is extra room that you can enjoy with family and friends. As a full time banker/part-time blogger, stress is really inevitable! Be there at work before 8AM and be home at 7PM! So, just imagine the 11 hours of working aside from the time that I will be spending at home with my kids and my family. Most of the time, I slept being so exhausted from my day to day basis. But still thankful at the end of the day for the strength that God gave me. Stress is clearly unavoidable, and will really affect one's health. We need to remember that our mind and body are inherently linked. So when stress starts to feel like it's taking over our lives, we need to get rid of all the things that stresses us out. GO OUT and take some time for YOURSELF! For me, one way of distressing myself out from my busy work is making some ME-TIME! Pampering myself is the ultimate way to relieve stress. To some it's a waste of time and money, but for me that's one way of setting aside a few moments out of the day to be alone with my thoughts as I indulge in a few moments of LUXURY and RELAXATION! So true, that while you are having some me-time for few hours, it will take you away from the worries of work like deadlines and some other stressful issues in life. Head over to Nail.a.holics Ayala Centrio or SM CDO Downtown on October 17, 2018 for the #NationalPamperingDay. You can avail any of the above services mentioned for just only P10 (Ten Pesos) on October 17, from 10am to 2pm - the amount of which will go to Nailaholics' community partner, the La Vetna Aged Care and Dementia Village. It may seem hard to believe that such a small shift in thinking and habits could make a world of difference for your health and psyche. But give it a try and see just what a little pampering can do for you! Sharing you my Me-Time experience last October 1, 2018 at NailAHolics Nail and Spa and HeySugar! Thank you for that wondrous experience!!! The Kapisanan ng mga Brodkaster ng Pilipinas (KBP) and the National Telecommunications Communication (NTC) are helping each other in fighting the expected surge of illegal broadcast stations across the country in view of the coming midterm elections. 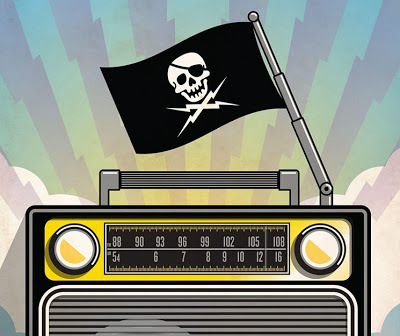 “This is year 2018 and there’s usually a proliferation of illegal broadcast stations leading to election day in May next year,” said Erwin V. Galang, head of the technical committee and trustee of the KBP. victimized unsuspecting candidates to buy airtime for their political advertisements. These illegal broadcasters usually disappear after they received payment for the political ads. “Historically, we can see a steep increase in the number of cases in broadcast services in relation to unlicensed broadcasts leading to the election campaign period. What we do is we immediately issue cease-and-desist and show-cause orders against these illegal operators, forcing them to shut down their stations, while others simply disappear,” Cabarios said. In the 2017 report by the Commission on Audit (COA, majority of the cases were administrative complaints initiated by NTC for violations of erring radio stations with almost 2,054 cases in the broadcast services division. As of 31 December 2017, there are only 148 telco consumer cases pending before the NTC’s Legal Office which are now subject of review and resolution. Losing someone takes a significant toll on an individual emotionally, and many people will have a hard time coping with that loss. If a friend is having a hard time dealing with a loss, there are three great ways to help them find themselves, achieve happiness, and reach closure. Having someone to talk to and confide in is very therapeutic, especially during stressful or traumatic events. Try to be as available as possible for the individual for phone calls, texting, or even hanging out together. This role can be very demanding, but it is incredibly important and helpful for the friend. Try discussing funny, interesting, and positive topics when possible. When someone goes through a loss, it's not uncommon to feel bummed out or lost. Try offering surprises and gifts such as cards, favorite candies, unique gift baskets, or even gift cards for a fun, spontaneous shopping trip. These thoughtful, fun gifts show the friend that she or he is on someone's mind, and is very important to someone else. Cute, funny notes and cards are virtually guaranteed to bring out a smile, so be sure to gift plenty of them! One of the best ways to help a friend through the grieving process is to help him or her keep busy. By keeping the mind occupied, there is less time for negative feelings to manifest. 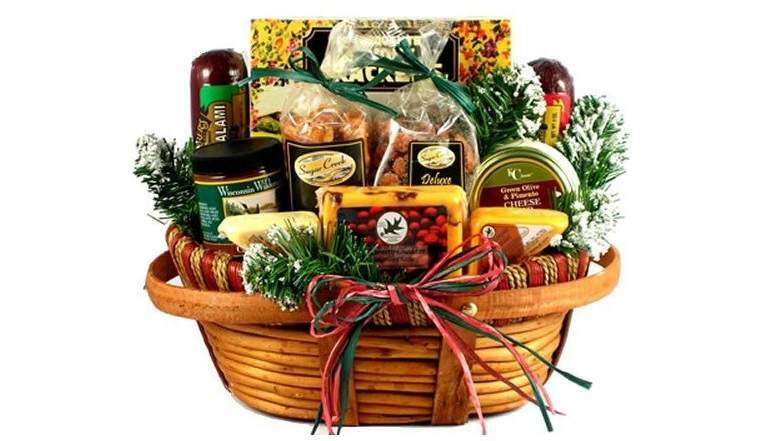 Try attending local festivals, craft fairs, workshops, and even local fitness events or classes. If the individual is particularly fond of musical events, try purchasing some concert tickets as a surprise. By filling a particularly devastating time in one's life with some wonderful memories, the friend will always have some positive things to look back on as he or she continues to move on in life. At first, it may seem virtually impossible to cheer up someone who has suffered a loss; however, the friend will genuinely appreciate each and every act of kindness as he or she begins to recover. On the instruction of President Rodrigo Duterte to make goods and services affordable and accessible to consumers, particularly the marginalized, Finance Secretary Carlos Dominguez has immediately put forward the proposal to reduce the telco interconnection rates to the New Major Player Oversight Committee. 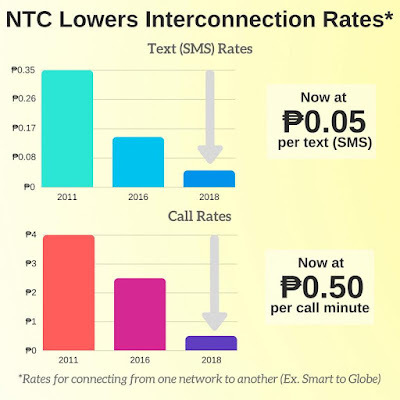 In the draft Memorandum Circular (MC) drafted by the NTC following a study, interconnection charges were reduced to P 0.50 per minute from P 2.50 per minute for voice service and P 0.05 per text from P 0.15 per text for SMS. A public hearing was conducted to enable telecommunication companies to comment and submit their position paperspertaining to the MC. On July 19, 2018, the final MC was issued by the NTC. The reduced interconnection rates are expected to benefit consumers across socio-economic classes, making voice call and SMS services between networks more affordable. This will also allow telcos to attract more subscribers and offer a wide variety of unlimited plans and services. Significantly, the MC will benefit landline subscribers and users of basic 2G mobile phones nationwide, majority of whom belong to the marginalized sectors of society. Relationships are built on promises: the promise to love, to care, to secure, to protect, and to provide. This is something that Piolo Pascual knows all too well, committed as he is to the promises he has made to his family as a son, a sibling, and a father. But when financial troubles arise, bringing such promises to life becomes a challenge. According to Piolo, Chiqui has been instrumental in ensuring that his dreams for his family will all come true. “It’s a partnership through and through. 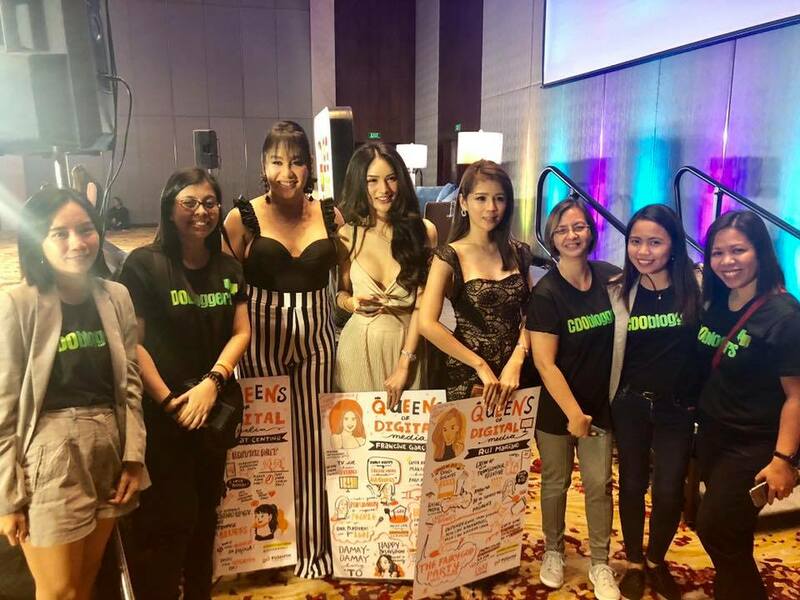 With her help, I’ve been able to make it all happen while still pursuing my own passions and advocacies,” he said. Piolo and Chiqui’s story is but one of many in Sun Life Financial, where lifetime partnerships are developed and nurtured through the years. 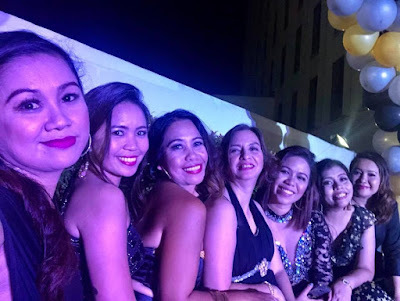 In fact, this has inspired Sun Life’s latest campaign, at the forefront of which is a new TV commercial highlighting Sun Life’s presence in a client’s life throughout the different stages of her life. It represents the many promises that Sun Life has helped bring into fruition for the past 123 years of its existence. 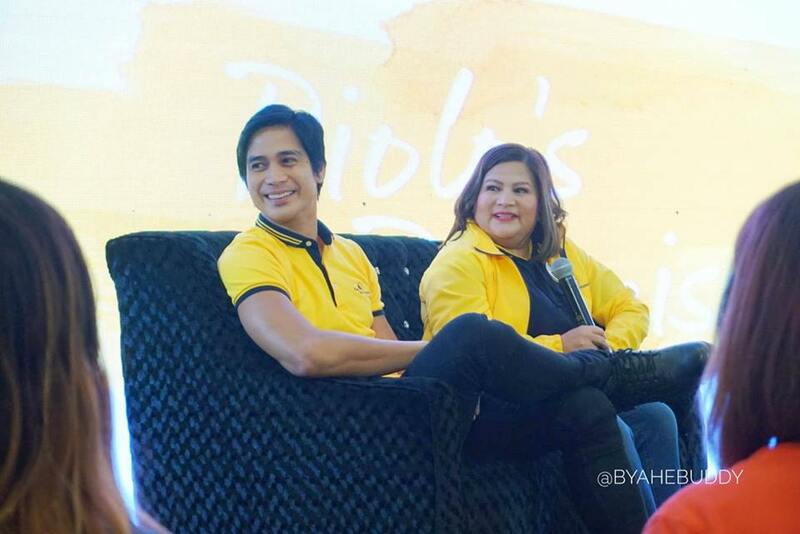 Sun Life hopes that the campaign, as well as Piolo’s own story, will inspire more people to take the same path in their financial journey. 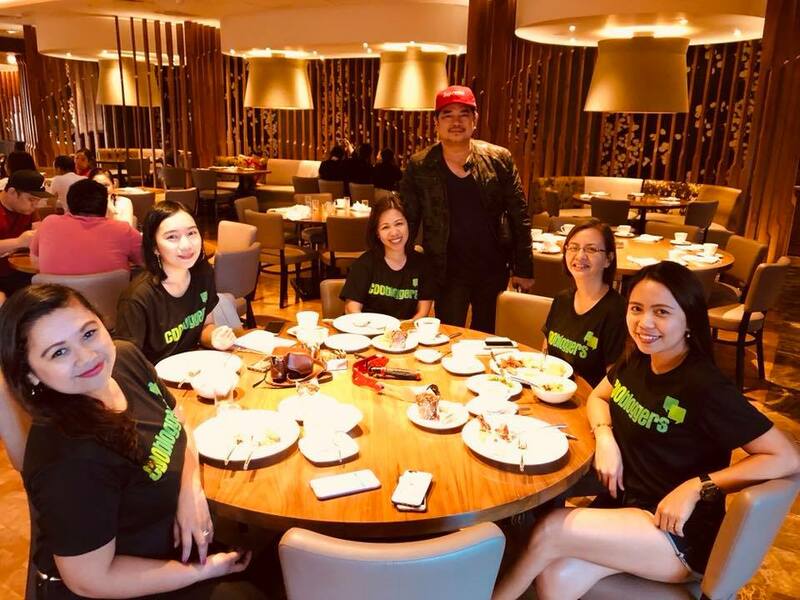 “As the longest-standing life insurance company in the Philippines, we have witnessed many promises being fulfilled throughout the years and have served generations of clients. 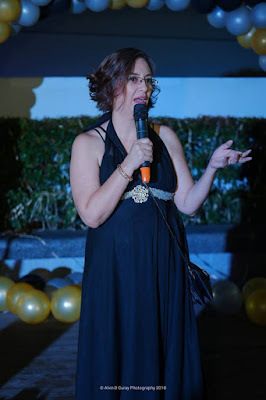 It is an honor for us to serve all our clients and help them secure their future and those of their loved ones” Sun Life Chief Marketing Officer Mylene Lopa said. Sun Life Financial Inc. ("SLF Inc.") is a leading international financial services organization providing insurance, wealth and asset management solutions to individual and corporate Clients. Sun Life Financial has operations in a number of markets worldwide, including Canada, the United States, the United Kingdom, Ireland, Hong Kong, the Philippines, Japan, Indonesia, India, China, Australia, Singapore, Vietnam, Malaysia and Bermuda. As of December 31, 2017, Sun Life Financial had total assets under management ("AUM") of $975 billion. For more information, please visit www.sunlife.com.